We offer high quality Duct Damper to our valuable patrons. 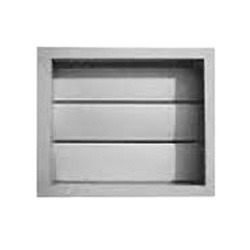 Offered by us at reasonable prices, these duct dampers are used in ducts to control the volume of air smoothly. Driven by an intense desire to attain maximum customer satisfaction, our team of quality controllers can be customized as per the specifications provided by the patrons. Owing to our rich experience and vast knowledge of this domain, we have been able to offer high quality Butterfly Duct Damper to our valuable patrons. 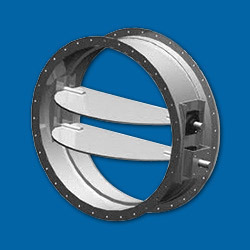 These dampers are suitable round collar products for supply or return air control application. As per the specifications provided by the patrons, these butterfly dampers can be customized. 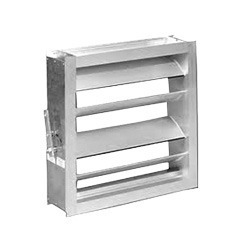 Used in ducts to control the volume of air smoothly, the offered Low Leakage Duct Damper is highly appreciated among our patrons. In addition to this, for the purpose of manufacturing these products, the best quality materials are used. Owing to their resistance to corrosion and dimensional accuracy, these dampers are highly demanded. Looking for Duct Damper ?